The Rolex 24 at Daytona marks the start of the sports car year - and there are plenty of big stories to follow this weekend. The new sports car racing year bursts into life this weekend with the Rolex 24 at Daytona, one of the most famous and historic events in all of global motorsport. Interest in this year’s race is high once again, thanks in part to the return of two-time Formula 1 world champion Fernando Alonso to the field as he bids for overall victory in his second Daytona appearance. But Alonso is far from being the only reason to follow this weekend’s race. In a 47-car field filled with big-name drivers, ranging from Le Mans winners to IndyCar champions, there’s plenty of racing action to whet any fan’s appetite. Here’s our look at the five big storylines to follow in this year’s race. This is the major story that has dominated the lead-up to this year’s Rolex 24. Following his debut at the race in 2018 as preparation for his first (and ultimately successful) shot at the 24 Hours of Le Mans later in the year, Fernando Alonso will return to Daytona this weekend with one aim: winning. The odds are far better for Alonso this time around, chiefly due to the team he will be racing with. Alonso raced for United Autosports in 2018, which ran an LMP2 car up against teams using faster Daytona Prototype international (DPi) chassis. Qualifying 13th was a decent achievement, with reliability issues ultimately leaving Alonso and his teammates well down the final classification. 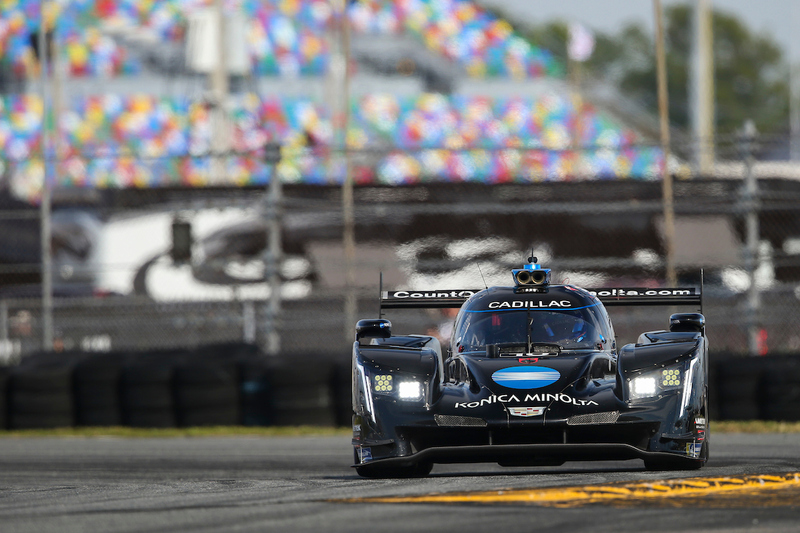 Alonso will race in a Cadillac DPi car at Daytona this weekend with Wayne Taylor Racing, a team that has won the race twice before, most recently in 2017. He will be part of an all-star line-up in the #10 Cadillac, joining up with sports car stars Jordan Taylor and Renger van der Zande, as well as Toyota colleague Kamui Kobayashi. It could be a victorious start to life after Formula 1 for Alonso – but he’s in a deep DPi field that will make it a difficult race to win.